Silver Explorer is an all-suite ice-class (1A) ship delivering a true expedition experience with posh onboard amenities and excellent service. The ship was last refurbished in 2009, but is impeccably maintained and possesses a timeless classic decor. The destination might be the main focus of an expedition cruise, but that does not mean Silversea ignores the onboard experience. 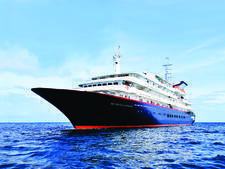 Recently, the luxury line has been moving crew between its classic cruise ships and the expedition fleet (except for the Silver Galapagos), resulting in a higher level of service and cuisine onboard the expedition vessels. Previously, those ships were inconsistent in those areas. Now, dining choices are modern, varied and sophisticated, prepared with excellent ingredients by skilled Silversea chefs. Crew affection for each other and for passengers makes for a relaxed, pampering cruise. We have rarely encountered a crew who act as happy as this one. All passengers, no matter the suite level, are assigned butlers -- a rare treat on an expedition ship. Well-trained and highly experienced, they cater to passengers' every whim -- and then some. For instance, you might return to your suite from a chilly outing and discover that the butler and suite attendant have prepared a scented bubble bath replete with flickering battery-operated candles. But fine dining and butlers are not why passengers choose to take an expedition trip. 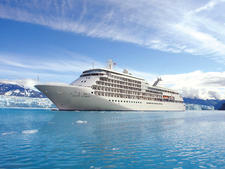 It's the lure of exotic destinations; Silver Explorer's most popular itineraries are the Arctic and Antarctic. Here, too, the ship excels. A fleet of Zodiacs ensures all passengers experience multiple outings, usually twice daily. Expedition teams include highly experienced and enthusiastic biologists, historians, geologists and ornithologists, among the Ph.D.-heavy group. Most importantly, they impart in-depth knowledge in an entertaining upbeat fashion. Team members often dine with passengers. 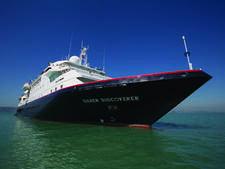 Silversea Expeditions also enjoys an exclusive partnership with the Royal Geographical Society, which provides additional scientific and historical information (often seen in the library or on ship display). Daytime on Silver Explorer is devoted to expedition exploration. When passengers do have free time onboard, they're typically attending lectures by the expedition team, reading and playing board games like Monopoly in the library or relaxing in The Observation and The Panorama Lounges. Some passengers hit the gym or spa, but be prepared that both are tiny. Occasionally, the ship offers a wine tasting or cooking demonstration. Late in the day, passengers enjoy more traditional cruise ship pastimes, like afternoon tea, cocktails, and multicourse dinners with entertainment by a keyboardist. Most retire early for morning outings. Passengers are affluent and well-traveled, with an adventurous spirit. Many are American, although this ship is popular with Europeans and Brits, too. Most are couples in their 50s to 70s who range from reasonably to very fit and enjoy outdoor activities. They're sociable and love talking travel. The overall dress code is relaxed. Casual attire is the daytime norm. In the evening, guests wear resort attire; men in polo shirts and slacks, women in nice tops and slacks. No shorts or jeans are allowed in The Restaurant -- although on the last night the rule is usually ignored. Passengers typically dress up for the Captain's Welcome Aboard and Captain's Farewell Parties (sport jackets, tie-optional for men; dresses or pantsuits for women). That said, we have seen some passengers stick to regular nightly attire. 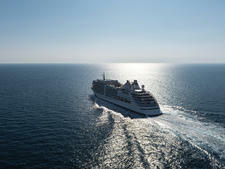 Silversea offers detailed packing recommendations for the off-ship portions of the cruise. Do heed suggestions. 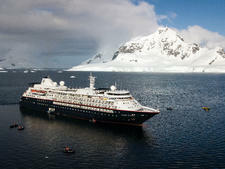 Lists, particularly for polar cruises, might seem lengthy, but you'll be glad when prepared for extreme climes. Each passenger on polar expeditions is provided with a complimentary parka, waterproof jacket and backpack. There's a selection of boots to borrow onboard for wet landings (Zodiac landings in shallow water), but sizes are limited. Silversea also provides a source for ordering fully outfitted clothing and accessory packages, delivered to your home or to the ship. 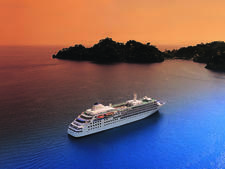 Cruises include all shore excursions, meals, snacks and room service, alcohol and gratuities. Laundry room use is complimentary. The only additional costs incurred are for spa and beauty salon treatments (no tipping necessary), cigars at the Connoisseur's Corner, laundry service (except for top suites) and wines and spirits from a premium list. The onboard currency is the American dollar. Built in Italy for Renaissance Cruises in 1990, the vessel was bought by Conodros Cruises and renamed Galapagos Explorer II. 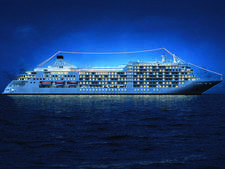 Silversea launched it as the 100-passenger Silver Galapagos in 2013. The ultimate luxury expedition ship, this 254-passenger vessel offers all-suite rooms with butlers, five upscale restaurants, an outdoor heated pool, spa and photo studio. With excellent cuisine, intuitive service, inclusive fares and butlers for all, this 540-person luxury ship sports an Art Deco design and an adults-only vibe. 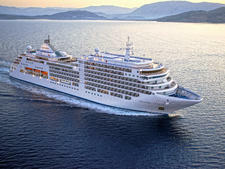 The 382-passenger Silver Shadow delivers a fine balance of onboard service and outstanding shore experiences. 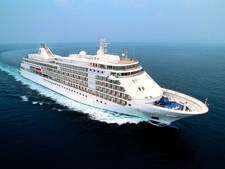 Silver Whisper, like sister ship Silver Shadow, holds more passengers than earlier ships and has more options such as a poolside grill, a cigar bar and a dedicated Internet center. Silver Wind has had a recent a refit which includes a new spa, new, beautifully designed suites and an overall refurb of cabins and public rooms. With its 2017 debut, Silver Muse swiftly became Silversea's flagship cruise vessel. That's because it's the biggest and newest in the cruise line's fleet. With up to 120 passengers, Discoverer is small but offers enough public space to give it a spacious feel and the pool deck is a major bonus. 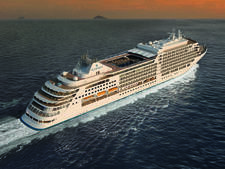 A twin to Silver Muse, this 596-passenger ship will offer multiple restaurants and lounges, inclusive fares and all-balcony suites with butlers when it debuts in 2020. The 596-passenger Silver Dawn will be the third luxury ship in Silversea's Muse Class, featuring multiple restaurants (but no main dining room) and all-suite, all-balcony cabins.